Feral Interactive releases GRID Autosport racing game for iPhone and iPad. Feral Interactive today announce that the awesome GRID Autosport is now available on iPhone and iPad! You can buy GRID Autosport on the App Store for £9.99 / €10.99 / $9.99, and download additional cars and tracks absolutely free! 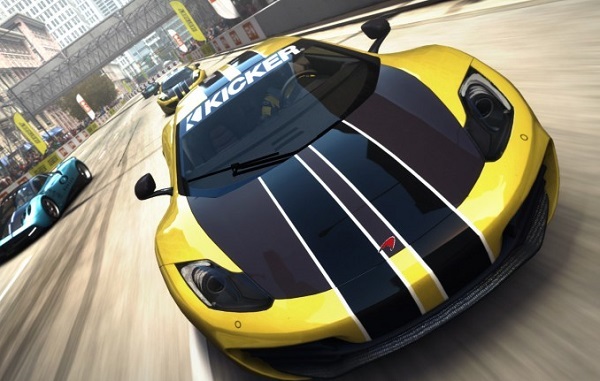 What you end up with is over 100 cars and 100 tracks, along with all the features from the game as it was originally released on desktop and consoles. Use touch-controls to navigate the game and control your car, and tilt-controls to turn your screen into a steering wheel. Or, if you'd prefer, play with any MFi gamepad. GRID Autosport requires an iPhone SE, an iPhone 7 or newer, an iPad (2017) or any iPad Pro, and iOS 11 or later. You will need 6GB of free space to install the base game with all of the free DLC packs, and we recommend having at least 8GB of free space to avoid installation issues.